There's something decadent about florals and when it's roses - it feels like you're adding a bit of luxury to your routine! We have you covered from total body care, repairing your skin, calming it and brightening its appearance. Glistening skin with a great mist is a quick way to make your skin look healthy and touchable soft. basq’s Resilient Body Oil not only protects the skin, but repairs it as well. With 100% natural ingredients, basq contains plant based oils including, hazelnut, sunflower, rosehip, grapeseed oil and sweet almond oils. Select between three invigorating aromas: Eucalyptus, Lavender and Citrus. When you need a skincare product that can do it all (can be used for your whole body), Trilogy Everything Balm is an essential! Containing rosa canina (rosehip) seed oil, this becomes your new essential. A beautiful face starts before your makeup is put on. 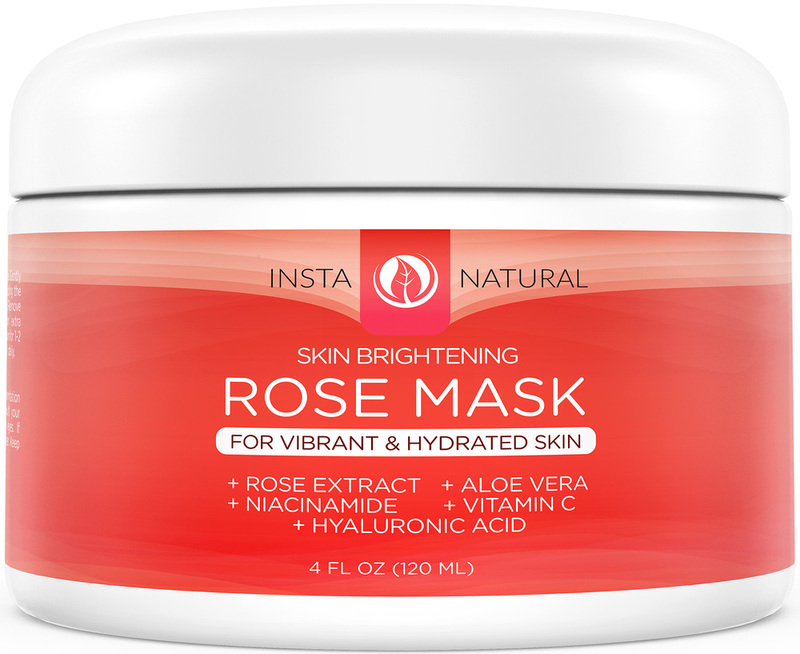 InstaNatural’s Skin Brightening Rose Mask includes Rose Extract, Aloe Vera and Vitamin C. It's the perfect prep to freshen and smooth your face. When it's that time of the month, you deserve a lot more pampering then usual. Kali Boxes give you a bit more comfort by supplying your must have necessities which include certified organic tampons in a monthly subscription service with natural products that are also included. One of the products that they have created is a Rosewater Facial Toner & Spray. A little aromatic therapy is always the perfect way to not only treat your face but to calm your senses.